Did you finish your Christmas shopping? I still have Buckwheat Tea ( SOBA-CHA ), and using it to mix with some rice. 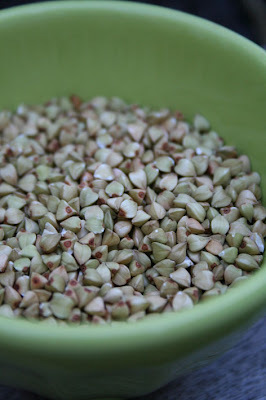 Now I can use this whole one in some soup, salads, hot cereal, etc... for a more grain intake in our diet. 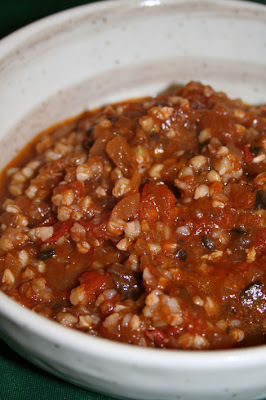 And I boiled some of the Buckwheat Groat and mixed with tomato sauce which I made the other day. The grain got tender and absorbed the flavor of the tomato sauce, and the good thing is that the grain doesn't have a strong Buckwheat taste that I thought. So, I can use with various types of dishes, replacing pasta or rice. My husband wants to try mixing it with oatmeal, so let's see how it comes out. It is getting chilly here in California, but a lot of places are in heavy snow I guess. Please keep warm, and I hope you have a Happy Holiday!